The souvlaki hut is To Obelisterio (spelling? ), and does great gyros. The grill house you mention is on the front on the stretch between Livikon and Lamon. It is always busy with Greeks and is good by all accounts. I haven't eaten there, more to do with a high step (I'm disabled) than the food or ambiance. It looks cheap and cheerful. Enjoy - I've had my Plakias allocation this year, sadly. Ummm, near the Livicon? Ideal, a couple of Mythos for starters with Dionysios, then on for some pitta souvlaki, with, of course some more mythos!! 6 days and dribbling already. 6 Greek days - long and lazy! Souvlaki hut is no more. Demolished on the 31st of March but a new place is opening elsewhere. I had heard that the Souvlaki House was being demolished, along with the outside space for the supermarket, but the grim reality is quite shocking! However, I'm really pleased to hear that they are opening up elsewhere. Any news where? It won't be the same if you can't sit on the road in the evening with the traffic squeezing by. We stay at Costa Chrysoula and I fear the widening of the intersection will actually make the corner more dangerous, as cars may come around the corner faster. That's progress for you. Stelios is opening another souvlatzidiko not far from the old one, but I do not know exactly where . 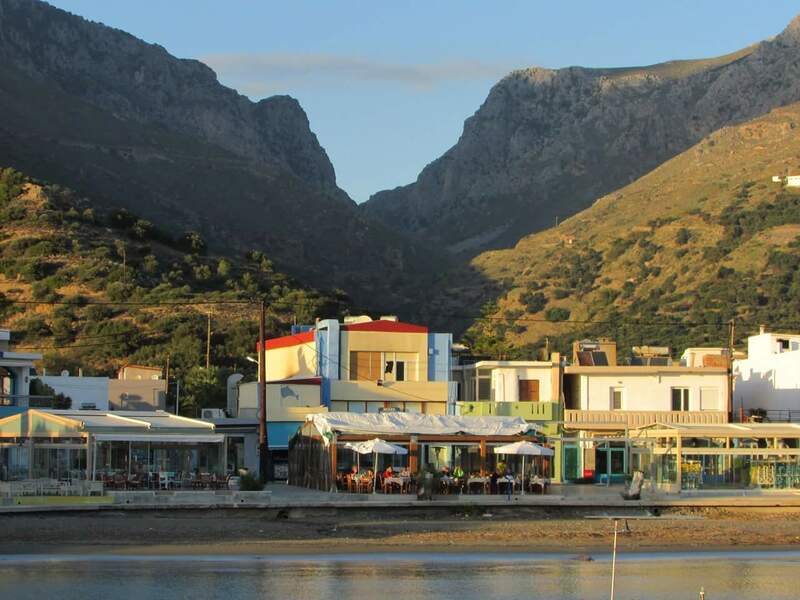 Traffic will increase I fear and too many people will spot the two best places to eat and drink in Plakias. Wonder if the wind will get stronger now that it does not have to go round a tight corner. 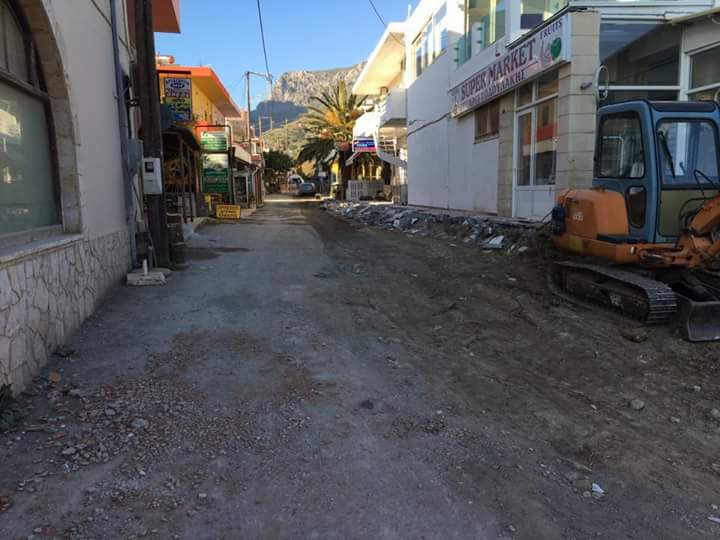 Voloudakis, Thanks for the pictures, sad to see the changes, progress some would call it! Is the fact you have posted the pictures reason to make us all jealous? Are you in Plakias now? 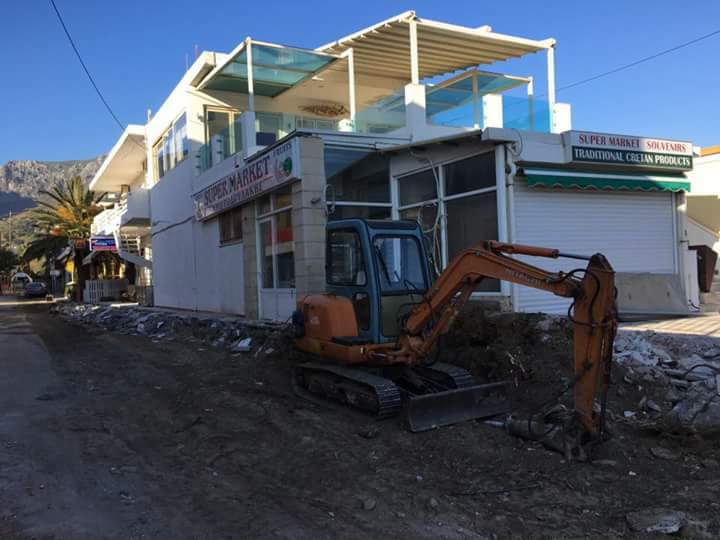 What is the update on the taverna buildings that were damaged last May? When we were there in October, some had been partially rebuilt, but lots more work needed to finish. We won't be in Plakias until this October as we have decided on a new Greek destination for this June, Agios Nikolaos, near Kalamata, Mani peninsula. Still seeking another destination to rival Plakias, having discovered Mytiline (Lesvos) a few years back. If you are in Plakias (damn you!) have a Fix or Mythos for me. That little souvlakia hut used to have one of the very few black and white TV's I Plakias (30 years ago). I remember watching footie on it along with about 200 others ! The aerial was about 40m high and had to be wiggled to keep the picture clear. It will be missed as it was always busy but I guess they have ideas for the intersection and other things....everything changes eventually. Ksexoristo means separate as in not quite the same or perhaps unique according to Maria the owners wife.It is always worth a visit. Hi I am not in Plakias but wish I was. We love the Mani and also visit Lesvos which is another favourite place. I expect you may know at least four of our friends on Lesvos. Melinda and Theo, who run the Captain's Table in Molyvos and Alison and Costas in Anaxos who own accommodation, a Taverna and a car hire firm. The front on 9th April 2016 ( Courtesy of Jeroen de Bever). Wow, cant believe the Souvlaki House has gone forever ! We always enjoyed a gyros and mythos here ! It was a good place to watch to relax, and watch everyone going past.... I wonder whereabouts in Plakisas it will re-open?